Posted: Mon Oct 02, 2017 11:31 am Post subject: 01Oct: LAS VEGAS mass shooting 60 die Stephen Paddock patsy? The suspected gunman in the mass shooting at a music festival in Las Vegas has been named as 64-year-old Stephen Paddock. At least 50 were killed and more than 200 injured at the Route 91 country music event near the Mandalay Bay Hotel and Casino. It is the deadliest mass shooting in US history, with the death toll surpassing the 49 killed at a nightclub in Orlando in June 2016. Witnesses described seeing flashes of light high up in the tower of the Mandalay Bay Hotel and a noise "like firecrackers" as a "clip after clip" was unloaded into the crowd. 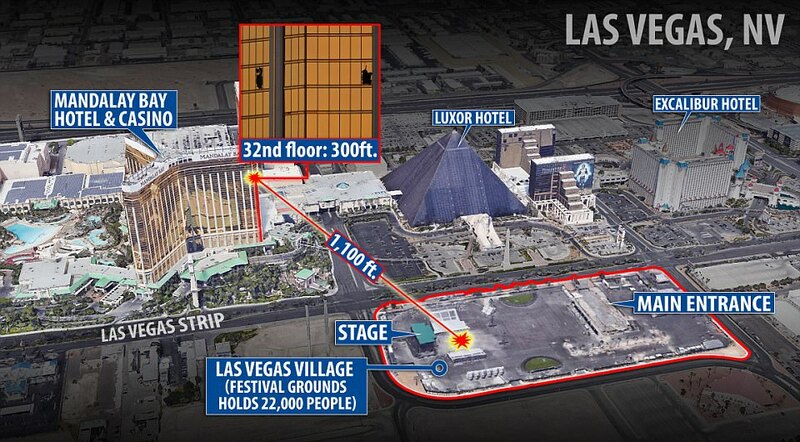 The shooter was believed to have been firing down at a crowd of concert-goers from the 32nd floor. A Swot team used a controlled explosion to enter the hotel room, where they shot Paddock – of Mesquite, Nevada – dead. Announcing the suspect's name, Las Vegas Sheriff Joseph Lombardo said police had "located numerous firearms" in the hotel room and a search of Paddock's house was due to take place shortly. Authorities said they had found a person of interest in their investigation, a 62-year-old female companion of the shooter called Marilou Danley. Las Vegas Police have identified Stephen Paddock as the man who opened fire from the 32nd floor of the Mandalay Bay hotel with an automatic rifle, killing more than 50 and injuring at least 200 in the worst mass shooting in US history. The 64-year-old targeted concertgoers at the Route 91 Harvest country music festival at around 10 p.m. local time (PDT) on Sunday night. Video and pictures from the scene captured the chaos and human toll taken as extended bursts of automatic rifle fire rang out. Police are not investigating the attack as an act of terrorism at this time. Following the attack, Las Vegas police found and killed Paddock. 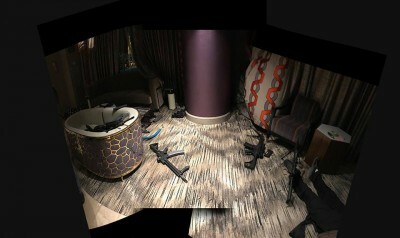 They discovered multiple rifles in his hotel room, according to Joseph Lombardo, sheriff of the Las Vegas Metropolitan Police Department. Police were hunting for and found 62-year-old Marilou Danley, who they've identified as Paddock's roommate. Stephen Craig Paddock, the 64-year-old white man who police say carried out the worst mass shooting in modern U.S. history Sunday night on the Las Vegas Strip, is described as a divorced retiree who reportedly liked to gamble and moved frequently. But he wasn't well-known to law enforcement. "He was a guy. He gambled," his brother, Eric Paddock, who lives in Orlando, Fla., told reporters Monday. "He was nice to my kids when they went out to Vegas." Asked by reporters if Stephen Paddock had been agitated about politics, his brother replied: "No religious affiliation. No political affiliation. He just hung out," adding that there was "not a bit" of a history of mental illness. 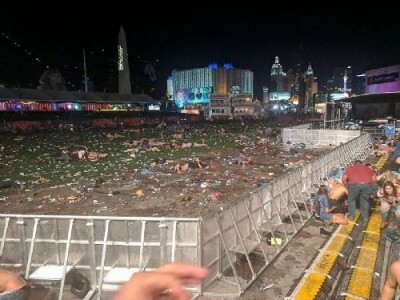 Police say that on Sunday night, Paddock broke out the window of a 32nd-story hotel room at the Mandalay Bay Resort and Casino and pulled the trigger, raining a hail of gunfire on concertgoers at the Route 91 Harvest country music festival across the street. Witnesses described what followed as "nonstop gunfire" that sent people fleeing for their lives. When a SWAT team forced open the door of Paddock's room, police found him dead. He apparently committed suicide. Clark County Sheriff Joe Lombardo said that more than 10 rifles were found in the room. Speaking to The Orlando Sentinel, Eric Paddock said his brother had lived in Central Florida before moving to Nevada. He had some guns, but no automatic weapons, the brother said. "He's never even drawn his gun before," he said. He told CNN that his brother had owned "a couple of handguns." Records show Paddock had been married at least twice and had addresses in Texas, California, Florida and Nevada. He settled last in Mesquite, Nev., about 90 minutes from Las Vegas. Paddock had a private pilot's license and reportedly owned an airplane. He had a hunting and fishing license for Alaska. Lombardo said Paddock might have had a traffic citation — but had no criminal history in the state and that there were no immediate indications of such a history elsewhere. The Palm Beach Post reports that a former neighbor of Paddock's in Florida said that when the two first met in 2013, Paddock told him he was a professional gambler as well as a real estate speculator. 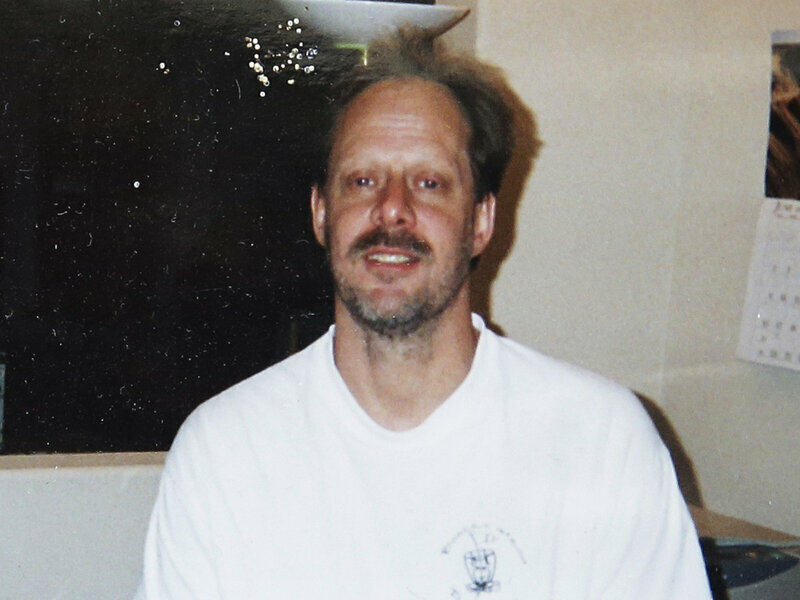 Paddock also reportedly told the neighbor that he traveled back and forth to Las Vegas. Paddock's family also may have a dark past: Eric Paddock said his father held up multiple banks, broke out of prison and spent several years on the FBI's most wanted list. Speaking in an interview with CNN, he said sarcastically: "We're all proud. My father was on the Top 10 list for a while." Other details about Stephen Paddock are sketchy, but public records show that he got married in 1977 and again in 1985. Public records show he was divorced from his first wife in 1980. "Early Monday, the department said, 'We are confident we have located the female person of interest' — but they later clarified that they believe she was not involved. Lombardo says she was found 'out of the country' and that Paddock had used some of her identification." Police executed a search warrant on Paddock's house in Mesquite. Quinn Averett of the Mesquite Police Department described the residence as "a nice clean home." He said some weapons and "maybe some ammunition" were found at the home but that he could not give details on type or number. At a news conference Monday morning, Averett described the neighborhood as "a retirement community. I believe 55 and older." Lombardo later said officials had learned of an additional property in northern Nevada and that the FBI was in the process of obtaining a warrant to search there. The sheriff said Paddock checked into his room at the Mandalay on Thursday, but that police did not know what he had been doing in the days leading up to the shooting. He said Paddock had brought the weapons to the hotel "on his own." Although the Stephen Paddock had lived for several years in California and briefly in Florida, in recent years, Paddock seemed to gravitate Nevada — specifically the gambling Meccas of Vegas and Reno, which is where he may have met Marilou Danley, the woman described by authorities as his companion. His last address was in Mesquite, about 90 miles from Las Vegas. In 2013, Paddock bought a newly built property in Melbourne, Fl. NPR's Pam Fessler spoke to a neighbor there, Sharon Judy, who lived next door. Paddock told Judy that he bought the house for speculation and that "he wouldn't be living there, but he would come and visit." She described him as friendly and said he gave her a key to the house so she could check in occasionally. "He was very open with us that he bought the house for speculation, that he bought other homes for speculation," Judy tells NPR. He also told her "he was a professional gambler, he and Marilou both, and that's what did. They traveled around, they gambled, they speculated on property." Mesquite lies near the border with Arizona and Utah. Chris Michel, the owner of another gun shop in St. George, Utah, who met and spoke with Paddock three times earlier this year. 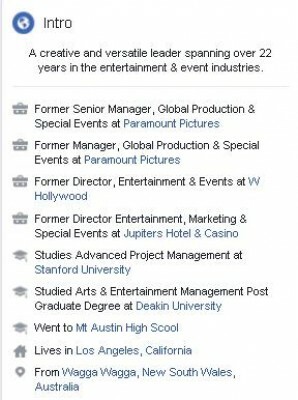 Paddock worked as an internal auditor for Lockheed Corp. for three years in the late ’80s. Paddock rented a hangar at the Mesquite Metro Airport between 2007 and 2010, according to the statement from Mesquite police. He stored an airplane there and paid rent on time, says the statement. "You're all going to die" heard at the concert. Police broke into his hotel room then killed him, then story changes to he was dead, committed suicide. Ten automatic weapons and thousands of rounds for a man without a gun? Is 'wife' Marilou Danley in the US or not? Amaq says ISIS claims responsibility? What! SITE and Rita Katz say ISIS claims responsibility? Double what! Did the suspected shooter display any red flags? The shooter’s brother, Eric Paddock, said ”we have no idea how or why this happened,” and that he felt like “an asteroid fell on us.” He added that his brother was a high-stakes gambler who had no association with political, religious, or racial groups. The Federal Bureau of Investigation said the shooter had no known links to terrorists. So what provoked the 64-year-old to go on a lethal rampage? Our two years of reporting on mass shootings and the people who commit those crimes suggest that the most common indicator of future violence isn’t connection with a radical ideology, but whether the person has a history of violent or threatening behavior to those around him. Witness Brianna Hendricks, said the woman had been behaving strangely before her outburst. Ms Hendricks, who had been in Vegas to celebrate her 21st birthday, told Mail Online: “There was a lady who came running up behind us in the concert and she started to play with people's hair, acting crazy, and she told us that we're all going to f***ing die. Las Vegas Shooting 45mins Before: "You're All Going To Die"
Joseph Lombardo, the sheriff of Las Vegas Metropolitan Police Department, confirmed the shooter, Stephen Paddock, had been killed by police, adding his flatmate Marilou Danley, who was sought as part of the investigation is now believed not to be involved. Ms Danley and her vehicle has now been located by the police, and it has been confirmed she is not believed to be involved in the mass shooting. 59 people were killed and at least 527 injured when a crazed gunman opened fire on a country music festival in Las Vegas. The man, who asked not to be named, said: 'I was in room 135 and I heard over the police scanner that the shooting came from room 137. Man in security jacket running through hotel pursued by security guards? Security guard on 42nd floor shot dead? How does THAT all fit in? Surfers Paradise Ultra Lounge bar co-owner Nathan Claridge, a globetrotting MC for the Vegas-based Thunder from Down Under male revue, posted video from the near the scene soon after the shooting started. The 32-year-old had just left work from a nearby hotel when he came across people diving for cover and running from away from what sounded like machine gun fire which could be heard in the background. Mr Claridge, who said he shot video of the pandemonium from a car he was a passenger in, said initially it was difficult to pinpoint where the gunfire was. He can be heard in the video saying: “Yo, what’s doing up there? Yo, where is that coming from? Speaking to the Gold Coast Bulletin after getting safely back to his accommodation several miles away, he said: “I have never been involved in something like that before. It was nuts. Gold Coast bar owner Nathan Claridge (left) an MC with Thunder from Down, was caught up in the Las Vegas shooting. He and colleague Benny Cleary, of the Sunshine Coast, who was driving the car asked people if they needed help - and people shouted back at them to turn around and “just get out of there”. Another Gold Coast woman and local business owner Jessica Winters said she and her partner Peter Tutton were locked out the back of the MGM Grand nearby after being evacuated from an internal restaurant twice. Wendy Miller from Cooroy, on the Sunshine Coast, was also caught up in the attack. She was at a bar in the nearby Luxor Hotel with her husband when she saw what she described as a “man of interest” run by. “We managed to make our way back to our room…” she told The Courier-Mail. “We are in lock down. 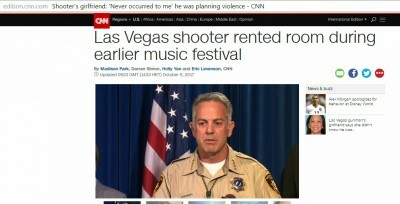 Paddock, a Country Music Fan and Grandfather, Goes to Vegas to Gamble and Take in 3-Day Country Music Event… then flips out and kills country music fans?!? Stephen Paddock was a big fan of country music and it appears he went to Vegas on Thursday so he could gamble that night and check out the 3-day country music festival. Recordings of the attack suggested that Paddock used an automatic weapon. Paddock, who arrived at the hotel on Thursday, was found with more than 10 rifles. A retired man, Paddock often visited Las Vegas to gamble and take in concerts, his relatives said. Public records show he was a licensed pilot, who owned two planes. And he had a hunting license from Alaska. For several years, he appeared to live in Mesquite, Tex. But property records show he chose to move to another town named Mesquite in Nevada, where he bought a home in 2013 and has been living there ever since. The festival was a 3-day event starting on Friday and ending Sunday. So he went there to gamble and watch the country music concerts. It makes absolutely no sense he would flip out and decide to kill a bunch of country music fans. How long did the shooting last you ask? “The gunshots lasted for 10 to 15 minutes. It didn’t stop,” said witness Rachel de Kerf. He stopped firing for an hour before they blew the door and found him dead? Why? My guess would be that estimate is on the high side because time would naturally seem to slow for someone in such a situation. But still, even that one leaves about an hour between the last shots fired and them finding Paddock dead. From what I understand, authorities weren’t even on the same floor as the suspected room for most of that time. As officers approached Paddock’s suite, he opened fire, shooting a security guard in the leg, Clark County Sheriff Joe Lombardo told reporters Monday. One full hour after the shooting stopped is when they breached the door and went in to find him dead. A lot can happen in an hour. Why did he stop shooting? There were still targets on the ground out there. Probably first responders and people trying to help each other. They found 23 guns and tons of ammo, right? So why did the “crazy man” on a rampage with no known motive stop shooting? Two people warning "You're all going to die"
one of the original video eye witnesses is heard saying 'that's an AR' which I thought instantly he was saying that he recognized the sound of an AR 15. Police tape blocks off part of Las Vegas Blvd. on Tuesday near the scene of a massacre at a country music festival in Las Vegas. Twelve devices known as bump stocks were found in the gunman's room. The shots ended at 10:19 p.m.
"I want you to think about that," McMahill said. "The first minute the police are aware of shots being fired is 10:08, and it stops at 10:19. That's a remarkable response by this police department." Authorities with the Bureau of Alcohol, Firearms and Explosives said 12 devices called "bump-fire stocks" were found in Paddock's hotel. Audio from the attack suggested that the shots were fired very rapidly, perhaps as fast as 90 shots in 10 seconds. Bump stocks are devices that can be attached to a weapon and allow the shooter to use the power of the recoil to fire more quickly — and on Tuesday, the ATF affirmed their legality. Did The Las Vegas Shooter Use A Device That Helped Him Fire Faster? "The classification of these devices depends on whether they mechanically alter the function of the firearm to fire fully automatic," said Jill Snyder, ATF Special Agent in Charge. "Bump-fire stocks, while simulating automatic fire, do not actually alter the firearm to fire automatically, making them legal under current federal law. It is still being determined which firearms were used in the shooting." On a screen before reporters, police displayed a compilation of body camera footage from the attack that showed scenes of chaos amid rapid gunfire. "Get down, get down, get down!" yells one officer. In another video, an officer instructs people to run. In several frames, the view is obstructed by the officer's clothing or other obstacles but the audio remains dramatic throughout. Police also confirmed the authenticity of photos showing the interior of Paddock's suite at the Mandalay Bay hotel taken after the attack. The photos were attained by the German publication Bild and published widely on Tuesday. McMahill said the police have opened an internal investigation into the source of the leaked photos. Clark County Coroner John Fudenberg clarified the number of people who died as a result of the attack: 58. The previously reported number, 59, includes Paddock, whom police believe shot himself. 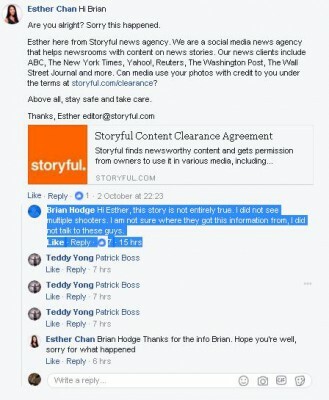 the eyewitness Brian Hodge is full of inconsistencies and confusion so I'd say his initial comments are false. A QUEENSLAND man on holiday with a group of friends in Las Vegas has spoken about the terrifying moment he realised the hotel he was gaming in was at the centre of a bloody attack. Pat Shaw of Tamborine, south of Brisbane, said he and his five mates, who are in the US to attend a drag racing event, were playing roulette at the Mandalay Bay casino when a stream of people started running past their table, including police officers and members of the SWAT team. Queenslander Pat Shaw was evacuated from the Mandalay Bay Casino. Mr Shaw told The Courier-Mail that he had heard the gunshots but hadn’t realised exactly what the sound was until he saw police enter the room. A picture taken by Pat Shaw from the Mandalay Bay lockdown area. “We heard it but didn’t realise (what the noise was) until all the SWAT ran past with their shields,” he said. Mr Shaw said everyone was ordered out of the gaming area and into a secure lockdown zone where they remained for several hours. At one point the group watched as eight police vehicles suddenly arrived in the lockdown area and medics rushed into the Mandalay Bay. Later, after police announced that a gunman had been shot and killed by authorities, Mr Shaw and his friends were told they were able to leave the lockdown zone and return to their own hotel. A former Gympie woman was also at the scene, The Gympie Times reports. Jessica Nelson was partying with friends at Route 91 Harvest Festival in Las Vegas when she heard the volley of rifle fire. “We heard two popping sounds that sounded like fireworks,” Mrs Nelson told Sunshine Coast Mix FM. Jessica Nelson with a friend at the Route 91 Harvest Festival in Las Vegas. “We then heard another lot of single shots. “I looked at my friend Justin and the colour just drained from his face. “He just screamed and I froze. She said the scene was horrific. “The automatic rounds just started,” Mrs Nelson said. “People were falling all around us. You wanted to get out of there as quickly as you could. “Your first instinct is to just get out of sight. Federal officials, gaming operators and security experts were repeatedly warned about Las Vegas casinos’ vulnerability to a mass shooting in the years leading up to Sunday’s massacre, according to documents reviewed by International Business Times. A major insurance company mapped out the potential for such a disaster; a terrorist-linked publication cited Las Vegas as a likely target and — only a few months ago — an ISIS video promoted the idea of a lone-wolf attack on the city. The dangers led a Nevada senator to push gaming industry-backed legislation to help casinos obtain terrorism insurance, though he opposed stricter gun control measures. Even so, the Mandalay Bay Resort may be facing a significant financial hit. In 2014, a magazine associated with Al Qaeda listed Las Vegas as a potential terrorism target, and security experts warned that the size of casinos made them especially vulnerable to mass violence. At the same time, casino interests such as the American Gaming Association, MGM and Boyd Gaming lobbied to shape legislation reauthorizing the federal government’s Terrorism Risk Insurance Act (TRIA), which provides incentives for insurers to offer terrorism coverage. “Without TRIA, the gaming industry will face costly difficulties in obtaining coverage, often required for critical community investments,” the American Gaming Association said in a 2015 letter to lawmakers. Flashing Light from Mandalay Bay room...was NOT a muzzle flash!! Not muzzle flash...it was a strobe light or alarm, as still seen well after shooting ended and shooter was dead...at 0500, live on Fox News. Has anyone heard a squeak from the FBI, the lead agency for terror and all kinds of potentially political crime? "Everything is being kept under extreme wraps because 1) armed ISIS terrorists are still at large and 2) this is very embarrassing to the FBI and they don't want their scheme to become public knowledge." "We will be posting further information throughout the day, people within LVMP are disgusted and are pushing for this information to be released to the public." In this perspective, the 32 floor suite of Paddock is behind and above, to the right, of this picture. 3 weeks ago, on 9/11 a mysterious 4chan user who went only by “John” made a series of at the time overlooked posts. He warned users to stay away from any gatherings of large groups of people in the Vegas or nearby Henderson areas. Stating that he had insider knowledge of what he referred to as a “high incident project” that was set to occur soon.While the poster was ignored at the time, since nothing seemed to occur on the 12th. The fact this John wrote “I can’t guarantee anything will happen tomorrow but las vegas is on their minds,” seems almost frightening now that just a few weeks later the largest mass shooting in American history has occurred at this very location. If we even consider the idea there could be any truth to such a plot in the first place, its not really all that unreasonable to believe the organizers could have simply adjusted there schedule by a few weeks. This could have been done for a myriad of reasons including just simply deciding the concert target eventually chosen served their purposes better. If true though even more troubling is the profit minded motivation behind the shooting that John went on to describe.He states this “project” will be done with an endgame goal of passing new laws in Nevada regarding casino security. Making pricey new security screening machines mandatory for all guests. With even further more ambitious plans to follow suit in our schools and other public buildings if the public goes along with the casino machines easily enough. He also specifically names former head of the Department of Homeland Security Michael Chertoff and Casino owner and billionaire Sheldon Adelson as the two men set to profit most off the wave of new regulations set to spring up in response to the Vegas incident. It’s not all that unreasonable even to believe that Mr. Chertoff might seek to profit from a new security panic in the wake of Vegas. Given that the man has already been accused of abusing the public trust by raising security fears among average American’s in an attempt to sell his companies body scanners before, all the way back in 2010. Yesterday we covered the rather perplexing fact that three weeks prior to the horrific attack in Las Vegas, an anonymous 4chan poster seemingly warned the sites users of just such an incident. This poster also outlined a secret agenda driving the actions behind the scenes of the attack, providing the elusive missing motive that even today both officials and the mainstream press don’t seem able to provide. We touched briefly in that previous article on the individuals and companies alluded to be behind the operation, but let’s dig a little deeper and see just how plausible this scenario really is. After all we wouldn’t want to be deterred by the likes of George Soros himself who oddly enough, posted this warning against conspiracy theories just a day before the attack when down. Michael Chertoff, official DHS photo portrait, 2007.jpgThe Chertoff Group though leads us to its founder and one of only two specific names alluded to in the original post. Michael Chertoff the Harvard educated son of a Rabbi who served as head of Homeland Security under George W. Bush, and also happens to be the co-author of the Patriot Act. The bill responsible for the removal of more Constitutionally protected protected rights then any other in modern times. Beyond founding the Chertoff group, he also co-chairs the Bipartisan Policy Center’s Immigration Task Force. As mentioned in the prior article Michael has already been formally accused of abusing his homeland security position to make money selling full body scanners. That is only the start of his past shady dealings however. As he has been involved in the stifling of investigations related to both 9/11 and Al-Qaeda. He also may potentially have the Clinton’s in his debt. As despite his close friendly ties to many prominent Democrats at the time, was appointed as special counsel to the Senate Whitewater Committee. A Committee which had been tasked with looking into allegations against President Clinton and his wife. Allegations that quickly went nowhere once Chertoff got involved. The other name mentioned is almost just as shady in his own right though. Billionaire Casino owner Sheldon Adelson is heavily tied into politics. Long serving as one of the key GOP mega donors who helps the party win elections. In fact he wrote the President’s inaugural committee a 5 million dollar check at the start of the year, the largest ever donation to an incoming President. He is said to be frustrated currently that Trump isn’t taking a more extreme pro Israeli stance in his polices however. As Adelson is a strong supporter of the Jewish state, and even owns the daily Isreal Hayom paper, along with being in regular contact with Prime Minister Netanyahu. The real questionable stuff starts when you consider that the Chinese government formally accused Adelson and his company of helping U.S. intelligence agencies spy on Chinese officials. Beijing believed that the CIA and FBI were using Adelson owned casinos operating in Macau to gather blackmail material on their people. They took this threat so seriously even they prevented the establishment of a U.S. consulate in Macau over their concerns. This story came to light even only after an ongoing lawsuit had already previously revealed that Adelson ordered spying on local Macau officials through his resorts in the region. If nothing else, the two men in question, Michael Chertoff and Sheldon Adelson are certainly powerful men with a history of shady financial and governmental dealings. If you were going to pick two people who would simply have the connections and resources to arrange an incident like the one in Vegas, you couldn’t cast a better pair. Let’s keep in mind though its not like these two were called out to fit the narrative only after the fact, but rather singled out weeks ahead of time, along with the target location of Vegas. With calls from all sides for increased security measures nationwide, it’s not that unlikely we could be facing the Patriot Act 2.0 sometime in the near future if the fear mongers get their way. Who could possibly be happier about that then the author of the original version, who of course just happens to own one of the companies set to profit most from such legislation. Nothing is a better motivator then money and power, and certainly both are to be had here in the aftermath of the horrific attack in Vegas. While all of the above could be a coincidence, at the very minimum these two certainly will likely both mange to profit in the months to come. Along with their friend Mr. Soros, who has actually previously made a killing investing in OSI Systems stocks in times of national crisis. Las Vegas shooting survivors have spoken of their horror at discovering YouTube has been promoting conspiracy theory videos labelling the assault on festival-goers a hoax. Just days after gunman Stephen Paddock opened fire on the Route 91 Harvest festival, killing 58 people and injuring more than 500 more, hundreds of videos discrediting the events continue to proliferate on the site. A cursory search for "Las Vegas shooting videos" on the site found one titled "Las Vegas Shooting Conspiracy? Viral Video Challenges Official Story" with 50,000 views on the first page of results. Another titled "Las Vegas Shooting Narrative Debunked In 3 Videos" has more than 250,000 views and asked: "What is the media hiding?" Stephen Melanson, whose wife and daughter were shot in the attack, called for YouTube to immediately take down the videos. "When I see my wife fighting for her life with a gunshot wound to her chest, and my daughter was also shot, it’s pretty conclusive evidence that it did happen,” he told the Guardian. "My daughter texted me … ‘There is a shooting right in front of us’ and another text said, ‘Mom is shot.’"
YouTube is not the only site to be embroiled in controversy. 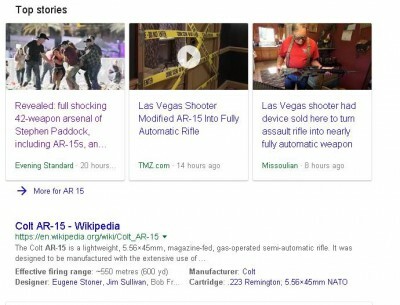 Its parent company Google was also widely condemned after actively promoting blogs and conspiracy sites in the wake of the shooting that misidentified the gunman. Facebook was also accused of proliferating the spread of fake news in relation to the shooting, despite taking measures in recent months to combat the problem in the wake of the 2016 US election. It comes just weeks after Prime Minister Theresa May ordered YouTube to remove extremist propaganda from the site within an hour to reduce the danger of it inspiring further atrocities. Her comments followed a damning report by Labour MP Yvette Cooper that found extremist footage posted by Islamists and neo-Nazis was still on the site despite it being flagged repeatedly to monitors. One video that had been flagged but was still available on the site was entitled “Adolf Hitler was right”, another showed a Muslim man being attacked and Taliban propaganda was also found on the world’s second most-viewed website. YouTube told the Guardian that a number of specific conspiracy videos did not violate its terms and conditions. The website said videos by trusted news publishers were promoted separately under the label "Top News". Sort of, quite high in the class? (CNN)Marilou Danley said that she was worried her boyfriend, Stephen Paddock, was trying to break up with her when he bought her a cheap ticket to the Philippines about two weeks ago, then wired her money so she could buy her and her family a house there. But Danley, in a statement read by her attorney, said she didn't know Paddock had planned to carry out a mass shooting. In her first public remarks since Paddock killed 58 people and wounded close to 500 others in Las Vegas on Sunday night, Danley said Paddock -- a man she described as "kind" -- never gave her any clues or any warning "that something horrible like this was going to happen." Before Paddock checked into the Mandalay Bay Resort and Casino last Thursday, authorities said had secured a rental at The Ogden, a condominium complex, through a private owner on Airbnb, around the time of the Life is Beautiful concert, which took place September 22 to September 25. "It never occurred to me in any way whatsoever that he was planning violence against anyone," Danley said in the statement. "I will cooperate fully with their investigation," she said in the statement. "Anything I can do to help ease suffering and help in any way, I will do." Danley said she was "devastated by the deaths." Investigators are looking into two key pieces of evidence that seem to suggest that Las Vegas shooter Stephen Paddock was not entirely alone in his Mandalay Bay hotel room. Senior law enforcement officials told NBC News that they have made two discoveries in Paddock's 32nd-floor hotel room that they currently cannot explain. The first is a cell phone charger that does not match any of the devices that belonged to the gunman. The second is a hotel record showing that one of Paddock's key cards was used to access his room while his car was outside of the hotel's parking garage. Investigators told NBC News that while there are many possible explanations for these two puzzling finds, they are hoping to get to the bottom of things immediately. A mysterious piece of paper was also found in the shooter's hotel room, where he opened fire on the Route 91 Harvest country music festival Sunday night, killing at least 59 concertgoers and injuring more than 500. Although investigators have confirmed it is not a suicide note, there has still been much speculation about what may have been on the paper. The new information came on the back of questions over whether the shooter was really alone in his hotel suite as originally thought. A receipt for room service has emerged showing a hefty food order and a note indicating there were two guests inside. The potential clue was uploaded to Facebook by a man named Tony Hernandez Armenta but later deleted. 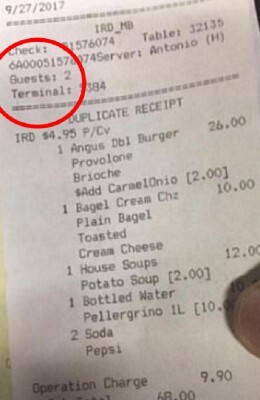 It indicates two guests ordered an assortment of items including a burger, bagel, soups and soft drink. Police previously said that Paddock had used his girlfriend’s identification when he checked in, which could account for the fact two people were thought to be occupying the room. Sheriff Lombardo said no one else was found in the room when the SWAT team entered and found Paddock dead. In yet another bizarre twist to the Las Vegas shooting saga, leaked valet entries show gunman Stephen Paddock checked into the Mandalay Bay before September 28th, the date given by U.S. authorities. Reporter Laura Loomer tweeted exclusive photos from the valet on Friday. The shooter also sprayed 200 rounds of gunfire into the hallway when an unarmed security guard, identified as Jesus Campos, approached his hotel room. The security guard, who was hit in the leg, then helped a group of police officers clear out rooms on the 32nd floor of the hotel, before they finally got to Paddock. I know that it sounds very Lee Harvey Oswald-esque, but according to a caller to the Michael Savage Show (Michael Savage is a well known conservative talk show radio host and winner of the National Radio Hall of Fame award) on Monday, Stephen Paddock could not have carried the horrible Las Vegas massacre on his own. The man on Michael Savage show claims he was neighbor with Stephen Paddock in Mesquite, Nevada between 2015 and 2016 and calls himself Rick. Benny “Bugsy” Siegel hoped to turn the remote and dusty city of Las Vegas into the gambling capital of the United States of America. This man of the underworld bet all of his cards on this city and managed to rack up many enemies from the crime world along the way. His intuition, history has taught us, was one hundred percent correct, but unfortunately for this Jewish gangster, it wasn't his house that cashed in the riches. The city of Las Vegas in the state of Nevada was founded in May 1905. This was not a typical city; for the first forty years of its existence, Las Vegas was a sparsely populated city located in a dusty desert state. The first generation of residents never imagined the tourist paradise their city would eventually become. If the Second World War had wreaked total destruction upon large swaths of Europe and Asia, the war economy in the US had actually reawakened the Depression Era economy, bringing in its wake unprecedented prosperity. The American century began with an enormous economic boom and the middle class was at last able enjoy the good life that until then had been the preserve of America’s wealthiest, which included some of the more suspect activities like gambling, prostitution, and the consumption of drugs and alcohol. Most of the illegal gambling places were in the hands of the American Crime Syndicate—an umbrella for the American underworld controlled by “Lucky” Luciano, an Italian immigrant, and Meyer Lansky, a Russian-Jewish immigrant. Gambling joints and casinos were situated in two main locations: Miami and Cuba. The new technology of air flight had made America smaller and the fact that Nevada was the only state in the union where gambling was legal placed it on the investment map of the criminal world. One of the most notorious personalities of the American crime world was Benny “Bugsy” Siegel, who already in 1941 had visited Nevada in the hope of finding an ideal location that he could turn into the legal gambling capital of America. Bugsy came up empty-handed after his first scouting mission. While he recognized Las Vegas’s potential, the owners of the city’s first casino refused the Jewish gangster’s offer to buy out their shares. Eventually Bugsy found the right seller and along with throwing around a lot of cash and threats he purchased a small gambling hotel in the downtown part of the city. Meyer Lansky did not share his long-time partner’s optimism regarding the future of the desert town, but he decided to support him and invest along with other figures from the crime world. From the start of his work on the project, Bugsy’s ostentatiousness knew no bounds: he hired the best interior designers money could buy, equipped the hotel with the most expensive furnishings, and he himself undertook the design of the deluxe suites. Above all, he invested in the casino and the bar, which he believed would provide the main income of the new Flamingo Hotel. Nothing stays in Las Vegas. Nothing ever did. When the Las Vegas Convention and Visitors Authority launched its now-famous slogan — “What Happens Here, Stays Here” — in 2004, the region was climbing out of the shadows of 9/11, when tourism to the city slumped dramatically. The city had attempted to re-brand itself as a safe destination for families in the intervening years, but the fact was, no one came to Las Vegas to spend time with their families. People came to lose themselves, a simulacra of the American dream and the Wild West available to you within steps of disembarking from a flight — the slot machines and video poker stalls closer than the bathrooms at most gates — and only a few hundred yards over the state line as you came racing up Interstate 15. One dollar could be turned into thousands, millions, who knows, it was Las Vegas, anything could happen. You could change the entire course of your life with one bet, provided you believed in yourself and your luck. 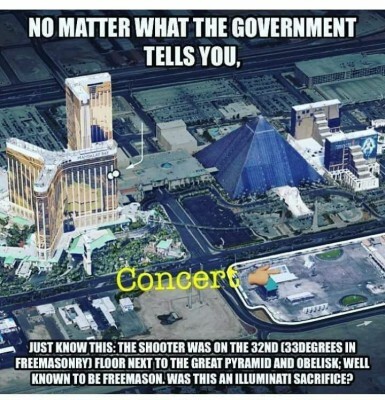 Was the Las Vegas shooting a false flag? Ex-CIA Clandestine Services Officer Robert David Steele says "yes." He hypothesizes that a US government drill (non-lethal) was hijacked by an Israel-linked element of organized crime and turned into a real mass shooting. The purpose: (1) Ramp up the post-9/11 police state, and push through more mass surveillance and gun control; (2) Punish Trump for backing off the war on Syria; (3) Stage another human sacrifice on behalf of the ruling satanic cabal.